I am a huge fan of Pinterest, and spend way too much time pinning destinations, and DIY projects that will inevitably end up being deemed “Pinterest fails”. 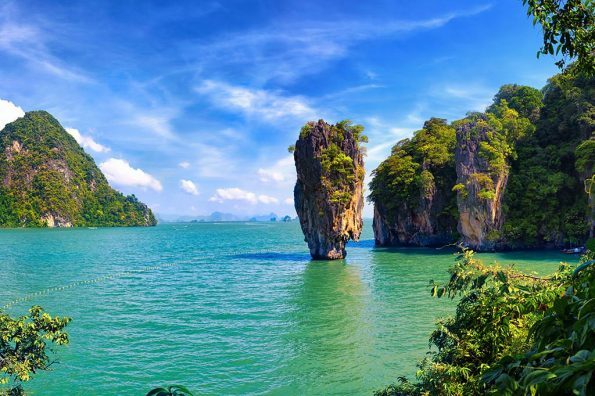 Recently I was looking through and trying to organize my likes onto boards, and found some pins of destinations that seemed too good to be true, so I did a little bit of research, and guess what? They were too good to be true. Now that I know the truth, I cannot believe that I actually believed in them at one point, but obviously I did fall for them once. So here are 9 Pinterest hoaxes that I once believed I would visit one day, but now know the truth! This is probably the most known Pinterest hoax nowadays. When I first saw this picture of the beautiful purple pools, I knew I had to visit one day, and when I booked my trip to Ireland, I looked into visiting Scotland just to take a trip to the fairy pools. After finding pictures that were far from the purple images I had originally found, I did research and came across the above picture on escapenormal.com. 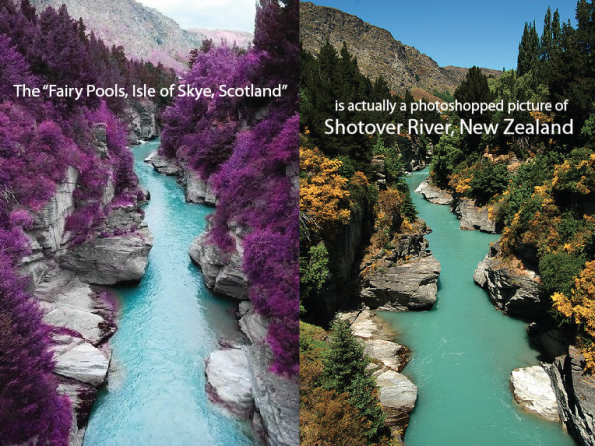 Apparently, a Photoshop savvy individual took a picture of a New Zealand river, and added some color to make the now viral picture. I would still like to visit the Fairy Pools in Scotland, but I really can’t hide my disappointment about not being able to see the beautiful purple scenery that originally opened my eyes to this destination. 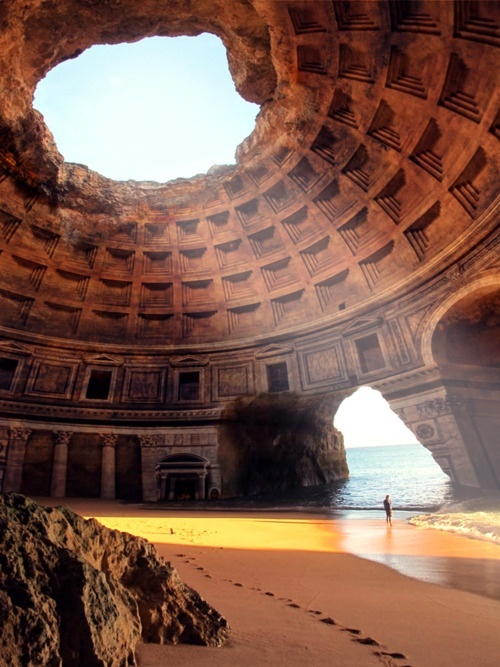 This picture has been pinned on Pinterest as being the beachside ruins of the “Forgotten Temple of Lysistrata”. This is some more Photoshop magic, but instead of just adding color to a destination from a different area of the world, the clever photo-shopper mixed two photographs. 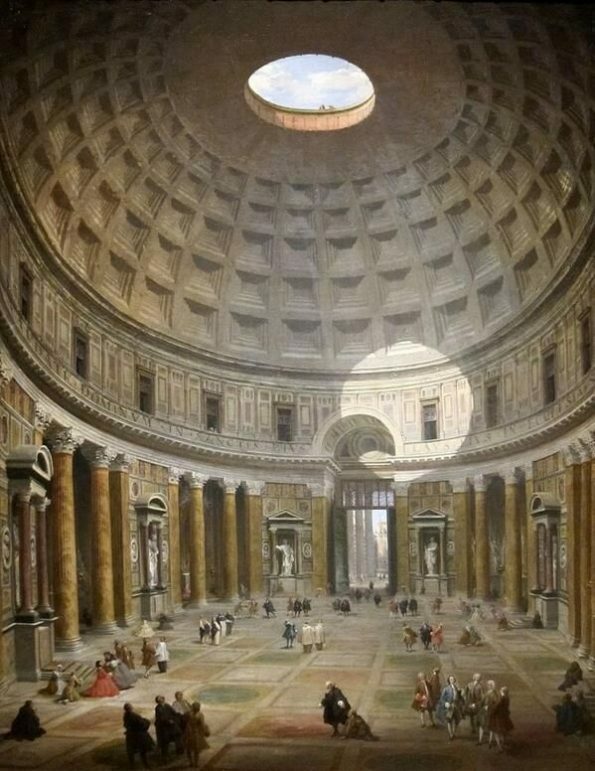 The photographs are of the Pantheon in Rome and the Benagil Cave in Portugal. 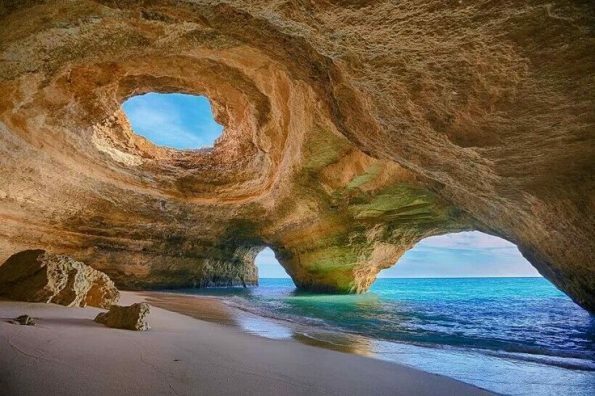 Even though this photograph isn’t real, I still think visiting the cave in Portugal would be awesome! I recently found the Pinterest picture of The Valley of Love in Ireland. While the Valley of Love is a real place, the statue of the women is not real at all. 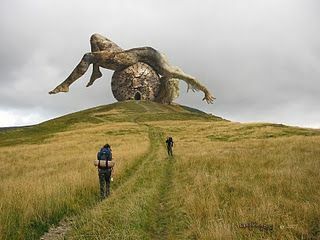 From pictures I have seen and people who have been to this area of Ireland, I would still love to go because it’s a beautiful place to visit just don’t expect a huge statute at the end of your journey, or you’ll be searching for a very long time. This is also a very well-known Pinterest hoax nowadays, but once again it was something I had fallen for when I booked my trip to Ireland. I was researching unusual things to do in Ireland, and came across this photo. As soon as I saw it, I knew I had to go and see this place in person because it is so cool! Then I started to do my research, and the truth came out – it is just another Photoshop job of two places that exist. 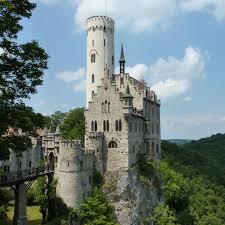 The pictures that are merged together are of James Bond Island in Thailand, and the Lichtenstein Castle in Germany. This hoax is a little bit different from the others. 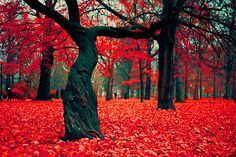 There is not a lot of info about the Crimson Forest in Poland when you search for it, but at the same time there is only one picture that pops up, no others. 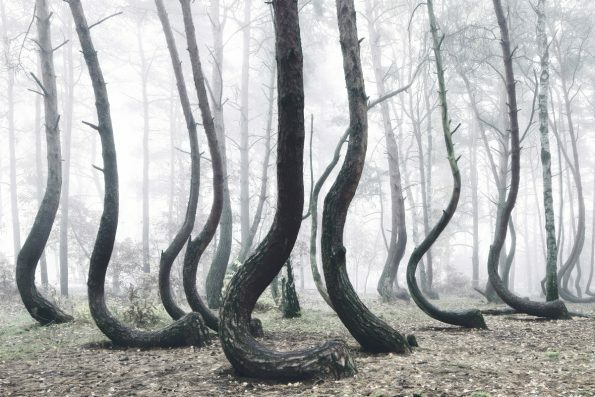 The other odd thing I found when researching The Crimson Forest was that the Crooked Forest in Poland kept coming up. To me, it seems someone once again used Photoshop, and took the beauty of the Crooked Forest, and just made some creative choices with how it should look. Although in my opinion, the Crooked Forest looks like it came straight out of a fairytale, and I would LOVE to go there for some great photo opportunities. This would be a dream come true if this were real, I mean the picture is absolutely gorgeous! When I first came across this, I think I knew it was fake, but it just seemed so cool that I couldn’t actually let myself believe that it didn’t actually exist. When I decided to write this article, I knew I had to do my research on this one, and of course it is just another Photoshop job. I guess the closest thing we have to this experience as of right now is the Chunnel. This Pinterest hoax claims that this tree is a magical “Tree of Life” in India. 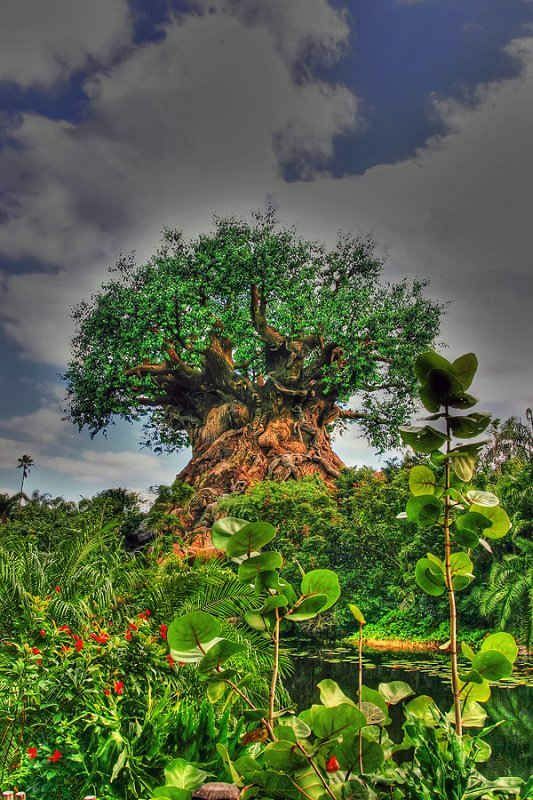 Anyone who has been to Disneyworld knows that it is actually just a really cool, yet fake tree that resides in Animal Kingdom! Don’t get your hopes up here; we will still have to search for the real tree of life. But, it does make for a great photo opportunity if you ever find yourself visiting Animal Kingdom in Florida! I have seen this photo circling around Pinterest for a while now. Whenever I click on it to get more information, the link is always bad or sends me to a page that has nothing to do with the Tree Woman. So I started doing research, and of course this came out as a fake, photo-shopped picture. 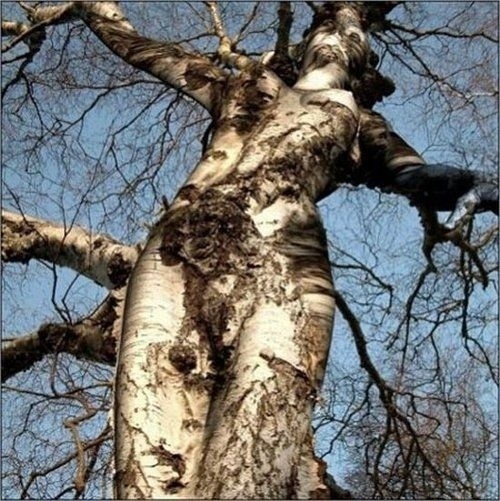 Trees do sometimes look like people, but this one is just way too good to be true. 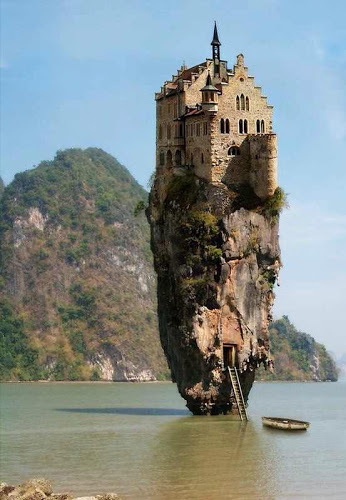 When I first saw this image, the first thing I thought about was if this island is true, it must be where all of the mermaids in the world are hiding. I mean it looks magical, so why wouldn’t they be there? The cool thing about this is, it is 50% true. 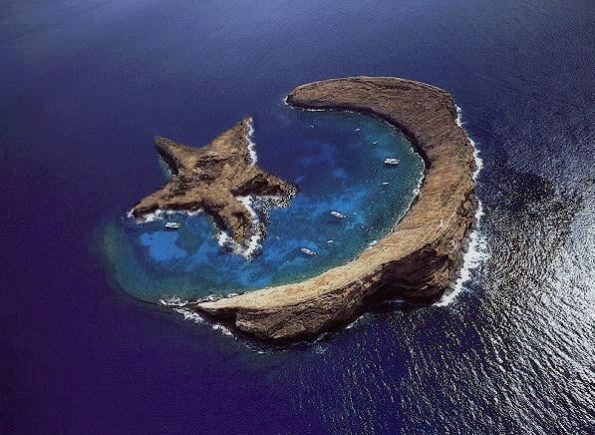 The moon part of the island is real, it is called Molokini Island, but of course the star shaped part of the island is photo-shopped. So there you have it! These are 9 hoaxes I found on Pinterest that I ended up falling for until I did my research! Hopefully this article will shed some light on these so you don’t make the same mistake I did. If you have ever fallen for a Pinterest hoax, let me know in the comments below! *I would like to make it clear that none of the above photos are my own photos. I found all of them on Pinterest, with respect to the first photo that was from escapenormal.com. Great post Bri. 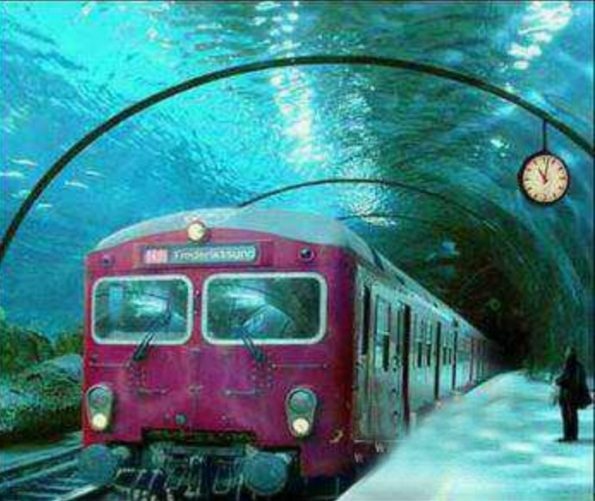 We are gutted some of these aren’t true but who knows, they may build the underwater train in Venice soon! Great post. I’ve run across a few of these and always wondered if they could be real. Thanks for doing the research for me! If you want to see purple scenery in Scotland, go at the end of August thru end of September when the heather is in bloom. Great Article, you’ve saved a lot of people time.